PLEASE NOTE: This show has sold out. Watch this space for details of future Robert Forster shows. We’re delighted to be working with Robert Forster again – this time, at Band on the Wall! 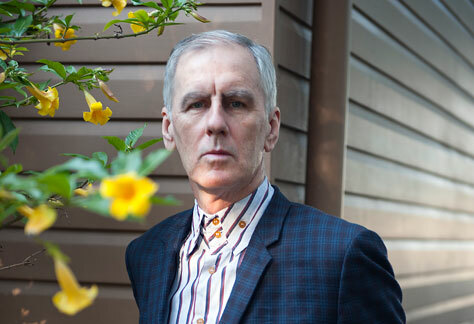 To celebrate and promote the 1 March 2019 release of Robert Forster’s new album Inferno, we would like to announce the dates for his 2019 European Tour. Robert will be undertaking his first full band run of shows across Europe in eleven years. Over the last four years Forster has been busy. He curated the acclaimed, Domino Records-released Anthology Volume 1 1978-1984 on his old band The Go-Betweens. His memoir Grant & I was Mojo and Uncut’s Book of the Year. He continues to publish music journalism, play concerts, and he never stops writing beautiful songs. Forster is now ready to play the loudest, grooviest, most fun-filled, tear-filled, set of shows of his career. Pull back the curtain that stretches from Stockholm to Cork, Robert Forster and his band are ready to blow. This is a 10+ show. Under 16s must be accompanied by an adult.